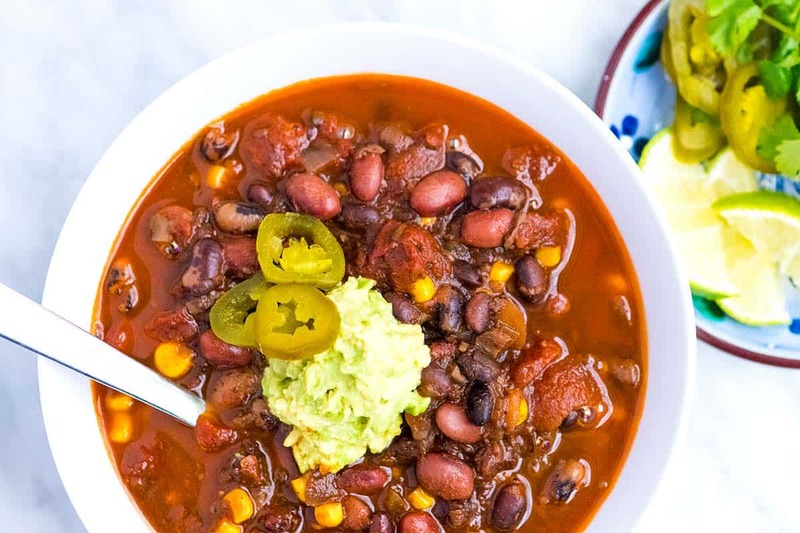 Make this easy and delicious vegetarian bean chili with dried beans or canned. 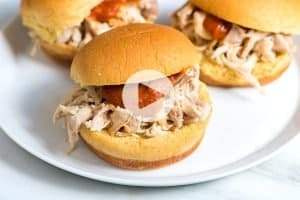 You can make it in the slow cooker or on the stove. 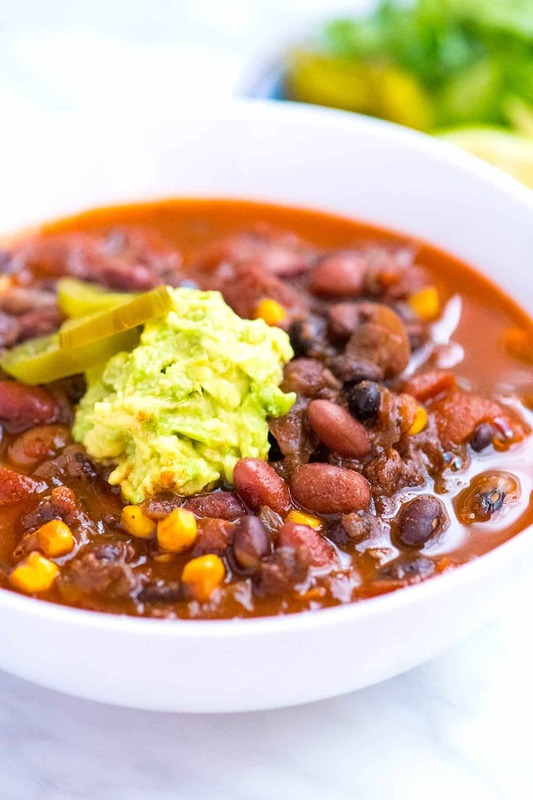 Jump to the Utterly Delicious Bean Chili Recipe or read on to see our tips for making it. If you’ve been following us for a while, you won’t be surprised when I say the secret to extra flavorful vegetarian chili is mushrooms. By chopping mushrooms small and cooking them with onions and spices, the chili becomes flavorful and almost meaty. We add mushrooms to a variety of dishes for the same reason — see how we use them to make turkey meatloaf better. 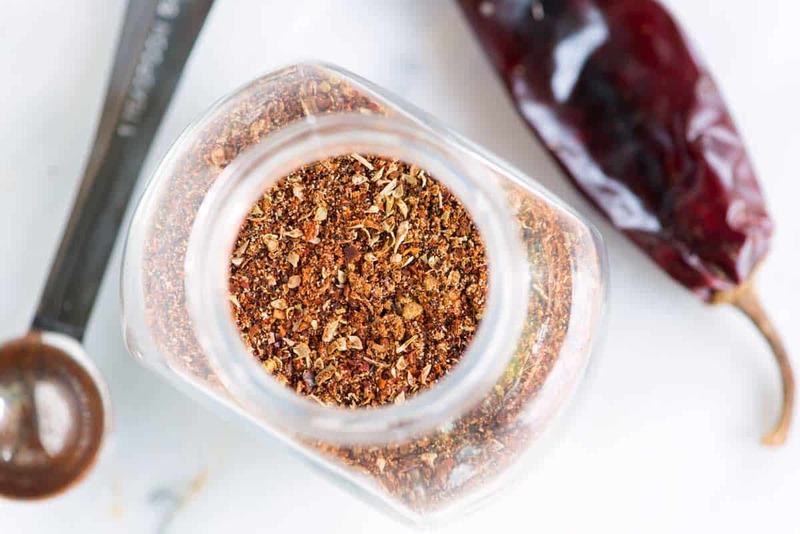 We even use mushroom powder to make homemade taco seasoning healthier and ultra flavorful. Once the mushrooms and onions are cooked, we add crushed tomatoes and scrape the bottom of the pan to lift any bits stuck to the bottom (there’s lots of flavor there). In goes dried beans and some water. Then it’s hands-off cooking from there. The chili takes 2 1/2 to 3 hours on the stove and 6 to 7 in a slow cooker. For a faster version, use canned beans. By using canned or previously cooked beans, you can dramatically cut the cooking time. You’re only looking at 30 minutes. See the recipe below for how to do it. Serve this bean chili with dishes like our Homemade Guacamole, our favortie Pico de Gallo, or with these Sesame Garlic Flatbreads. This vegetarian bean chili recipe is really flexible. You can use dried or canned beans — see our notes below for canned. 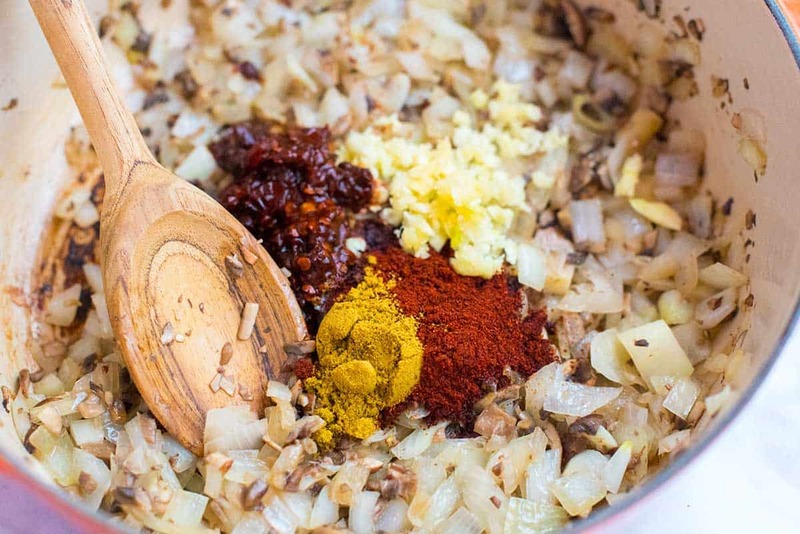 When it comes to cooking, the timing above is for dried beans on the stovetop. A slow cooker will also work. 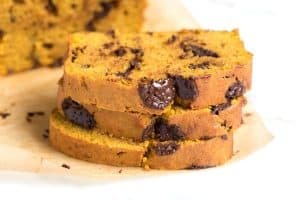 I’ve shared notes below in the recipe for a guide. We use chipotle peppers in adobo sauce for this. You can find small inexpensive cans of them in the international aisle of the grocery store. Two peppers makes a mild to medium spiced chili. For a spicy version, add one or two more peppers (or add some of the adobo sauce from the can). Heat the oil in a medium heavy bottom pot with lid (we use our Dutch oven). Add the onion and mushrooms then cook, stirring occasionally until the onions are soft and translucent. Stir in the garlic, chili powder, cumin and the salt. Cook for about a minute. Add the tomatoes and use a wooden spoon to scrape any bits stuck to the bottom of the pot. Rinse the beans with cool water, drain and then add to the pot with the water. Bring the chili to a boil and cook for one minute. Reduce the heat to a low, gentle simmer then cover with a lid. Cook, stirring occasionally, for 2 1/2 to 3 hours. If during cooking the chili seems day, add a little more water. When the chili is done, stir in the corn and red wine vinegar. Add additional salt if needed. Cook until the corn is heated through, about 5 minutes, then serve topped with your favorite chili toppings. Cook the onion, mushrooms, garlic, spices, salt and tomatoes as shown in the stovetop method above. Instead of a heavy-bottomed pot, you can use a skillet instead. 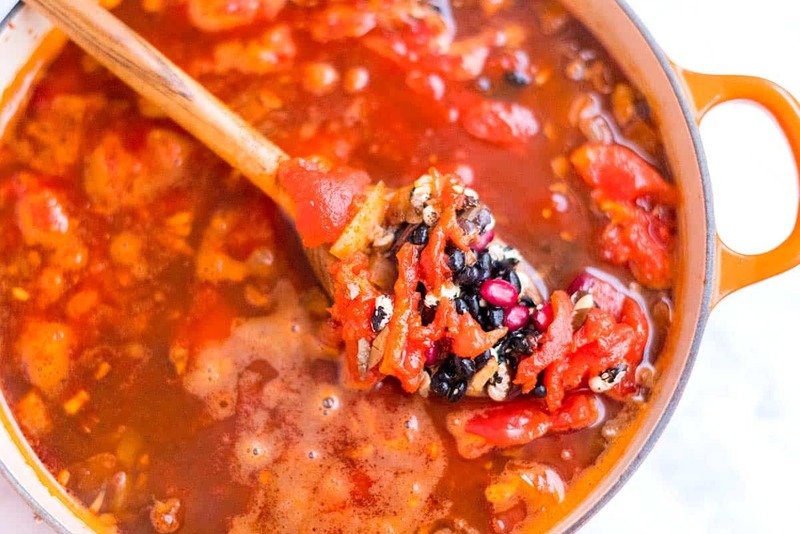 Scrape the onion-tomato mixture into a slow-cooker. Rinse the beans with cool water, drain and then add to the slow-cooker along with 3 1/2 cups of water. Cook on HIGH for 6 to 7 hours. If the chili seems dry, add a little more water. Add the corn 20 minutes or so towards the end of cooking. Dried beans: We usually end up using a mixture of beans when making this. Black beans are almost always included as well as kidney beans. Other varieties like pinto beans are great too. I’ve even used orca beans with great success. Since the beans are cooking for almost 3 hours, it’s not necessary to soak them beforehand. That said, if you want the beans to be very soft, you can always soak them overnight before cooking. If you choose to do this, use the 4 cups of water called for in the recipe. Whatever water is left in the bowl after soaking will be the water needed for making the chili (some will be absorbed by the beans). If when you are cooking the chili, it seems dry, add a 1/2 cup or more of water. Using canned beans: You will need just less than 4 cups of previously cooked or canned beans (close to three 15-ounce cans). You don’t need to add the water called for in the recipe above. Cook the onions, mushrooms, spices and tomatoes as mentioned in the recipe. Add about 1/2 cup of water then bring everything to a low simmer and cook for about 20 minutes. Add the canned/previously cooked beans then cook another 10 minutes. If the chili seems dry, add a little more water. Mushrooms: The mushrooms make this chili extra flavorful and almost meaty. If you don’t like mushrooms, don’t worry, if you cut them very small, you will barely notice they are there. We typically use crimini or portobello mushrooms, but shiitake or other varieties are a nice idea, too. This recipe was inspired by Smitten Kitchen’s Three Bean Chili. Nutrition facts: The nutrition facts provided below are estimates. We have used the USDA Supertracker recipe calculator to calculate approximate values. We did not include any toppings in the calculations. Sodium content may also vary based on what chili powder you use. Is the red wine vinegar essential? I don’t cook with it a lot and hate to buy a bottle for just a teaspoon. Hi Heather, any acid will work — fresh lime, lemon or another vinegar. PS I used only canned beans..red, pinto, black…no problemo! Well indeed ya did it again! Did not have access to meat, so this was a serious winner, and the mushrooms!!! Shared mine with a friend, and she commented she could not believe it was chili without meat! Bravo..I am about to start a second batch while there is still a cup-full in the fridge! Bravo! Looks divine, and thank you so much. I ALWAYS enjoy your recipes, and as I am up in the mountains in Central America for the next 3 months, with LESS access to stores with meats, sounds like a real winner…thanks! I’m now making it in a slow cooker. The kitchen smells delicious! I think it will make a perfect lunch today! Thanks, Adam and Joanne. I know it will taste great!